Einstein's famous equation, E=mc2, expresses a fundamental interrelationship between energy and matter. Fermi's Large Area Telescope (LAT) relies on this fact in order to detect gamma rays. When a gamma ray grazes an atom of tungsten in foils stacked within the LAT, it converts from energy to matter — an electron and its antimatter equivalent, a positron. As the electron and positron move through the detector, the LAT tracks their motion to determine where in the sky the gamma ray originated. 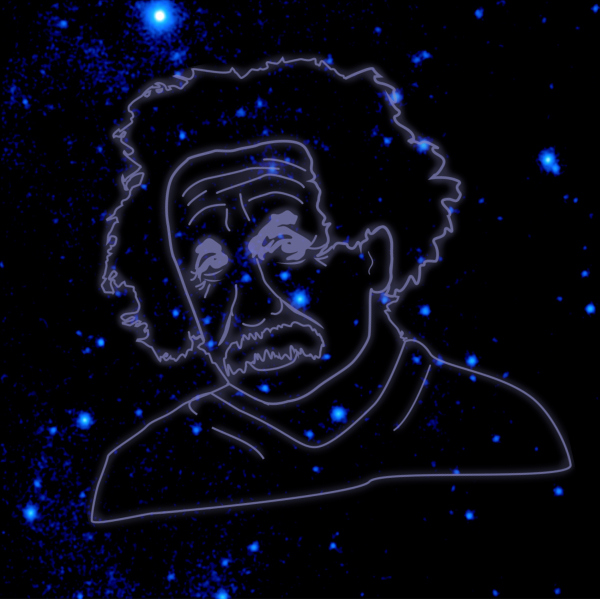 During its first year, Fermi provided experimental evidence about the very structure of space and time, unified as space-time in Einstein's theories. Some scientists have suggested that space-time may not be perfectly smooth. If true, it would mean that high-energy light would take longer to travel a given distance than lower-energy light. 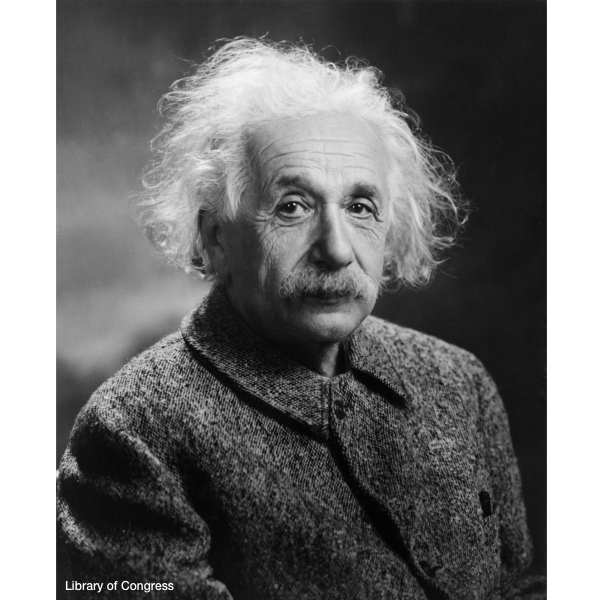 But Einstein's theories declare that all electromagnetic radiation — radio waves, infrared, visible light, X-rays and gamma rays — travels through a vacuum at the same speed. 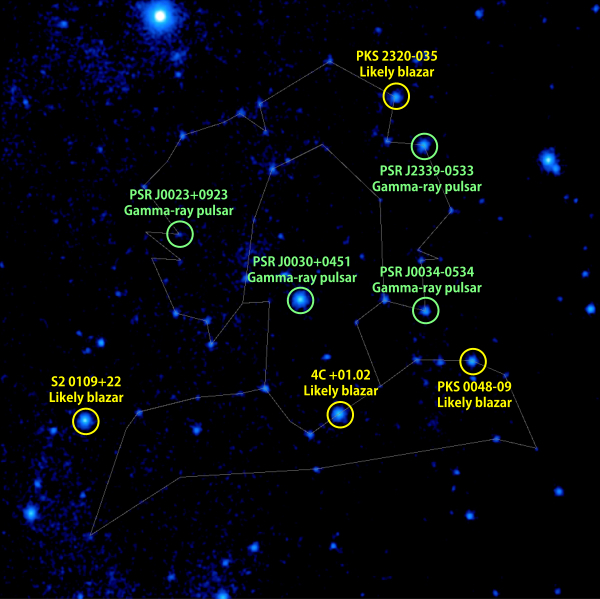 From a distant explosive event called a gamma-ray burst, Fermi observed gamma rays over a wide range of energies. If the prediction that space had texture was correct, Fermi's LAT would have detected a significant time lag between the arrival of the lowest-energy and highest-energy gamma rays. In fact, to within one part in 100 million billion, the two photons traveled at the same speed. Fermi showed that any effect of this nature must be incredibly small and may not exist at all. In addition, Einstein's theory of relativity predicts that gravity can alter the path of light. Space-time bends near massive objects, and light is deflected as it travels along curved space-time. This means that foreground galaxies can act like a lens and produce magnified images of more distant objects. Because the bent light paths do always have the same length, a lensed galaxy may appear as two or more images, with each representing the galaxy at slightly different times. Fermi's Large Area Telescope has detected a series of bright gamma-ray flares from a known gravitational lens system, called B0218+357, which produces two separate images of a distant galaxy. Fermi measured gamma rays from one of the images and then detected gamma rays from the other image many days later.